Fishing the Rio Parana at the convergence of Brasil, Argentina and Paraguay. 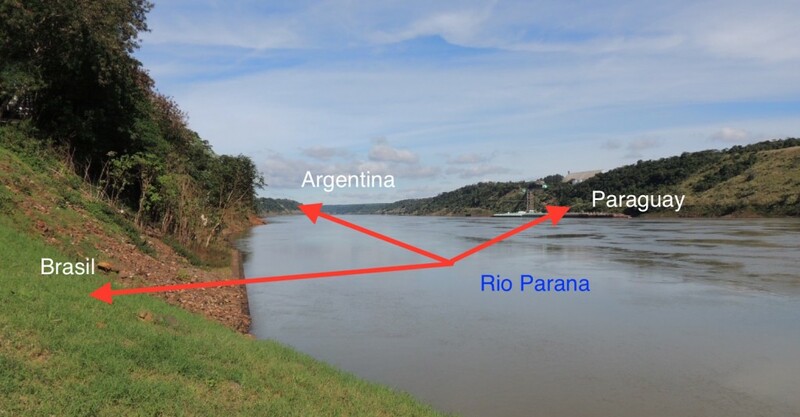 Rio Parana, the second longest river in South America behind the mighty Amazon, divides Brasil, Argentina and Paraguay. 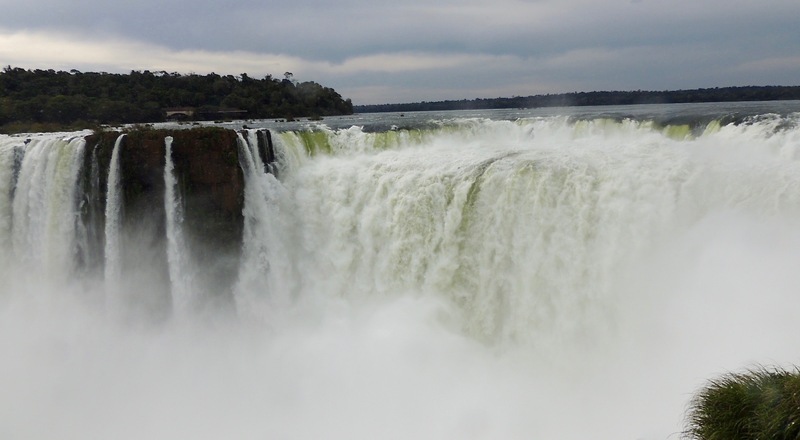 The focus of our trip was to see the Iguazu Falls (Cataratus Iguazú) which were magnificent. 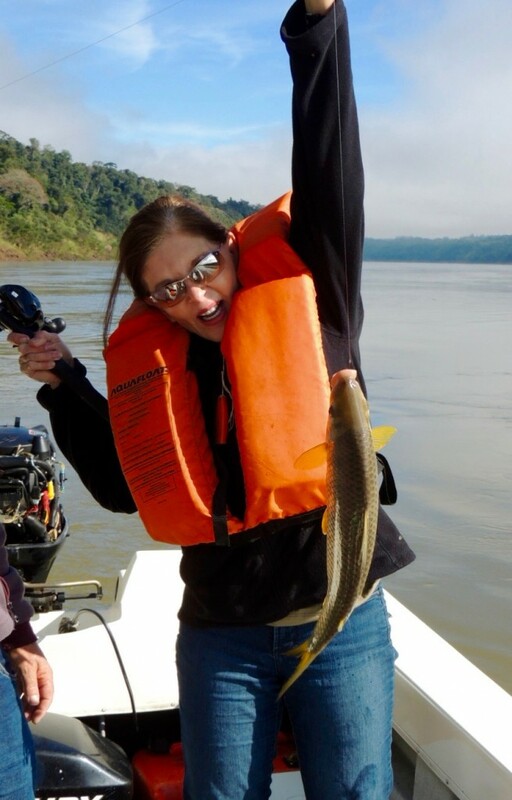 But, fishing the Parana River was pure joy. 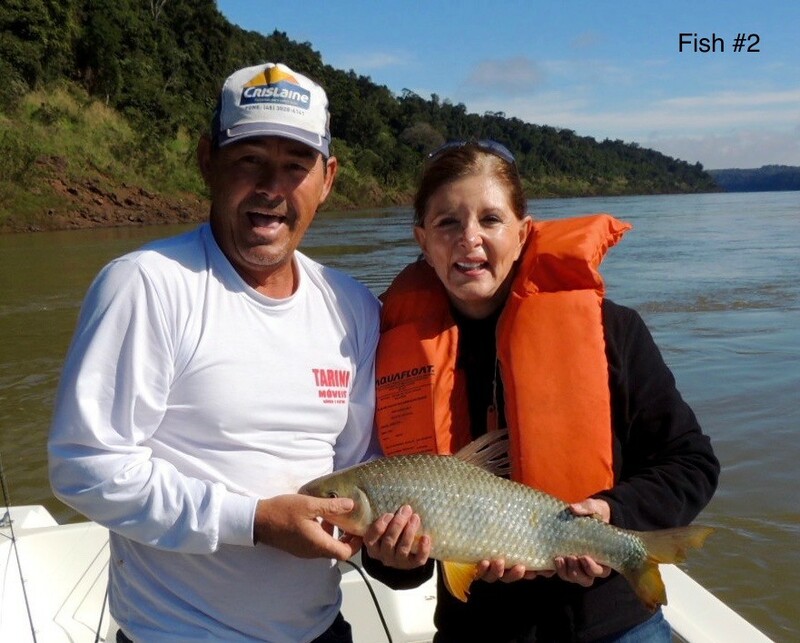 Fishing the Rio Parana was not in our plans and time was a factor. I contacted Susana Mendoza at Hunt & Fish Safaris in Argentina. She understood the problem and in a matter of one day, the fishing trip was scheduled. She made this dream come true. John and I were picked-upped at our hostel and driven across the border to Brasil where we met our guide, Juan. We had a nice boat which included fishing equipment and bait. Juan traveled about 30 minutes downstream and anchored. He cut up some baseball size crabs. This is where it got interesting. 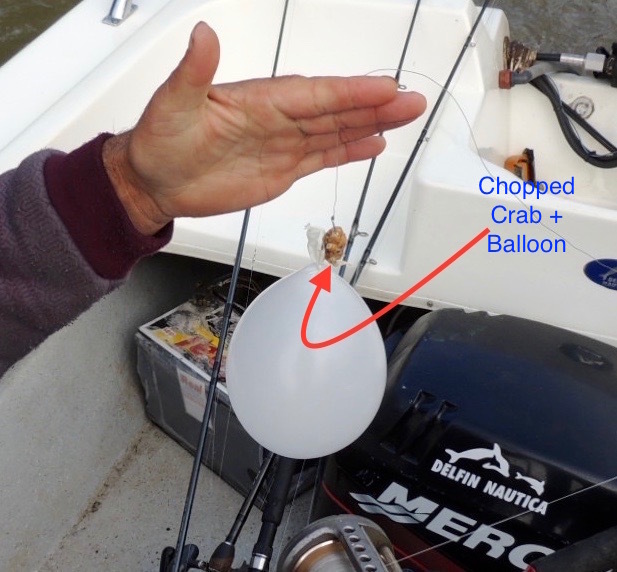 He attached the crab to a hook, blew-up a balloon and gently hooked it to the hook. 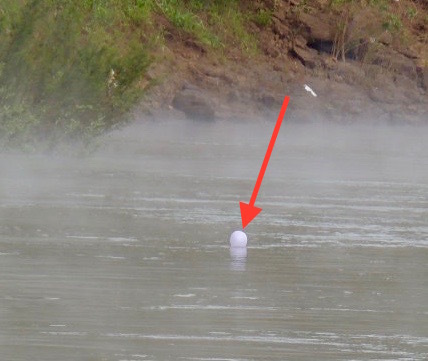 When he threw it overboard, the balloon carried the bait downstream. 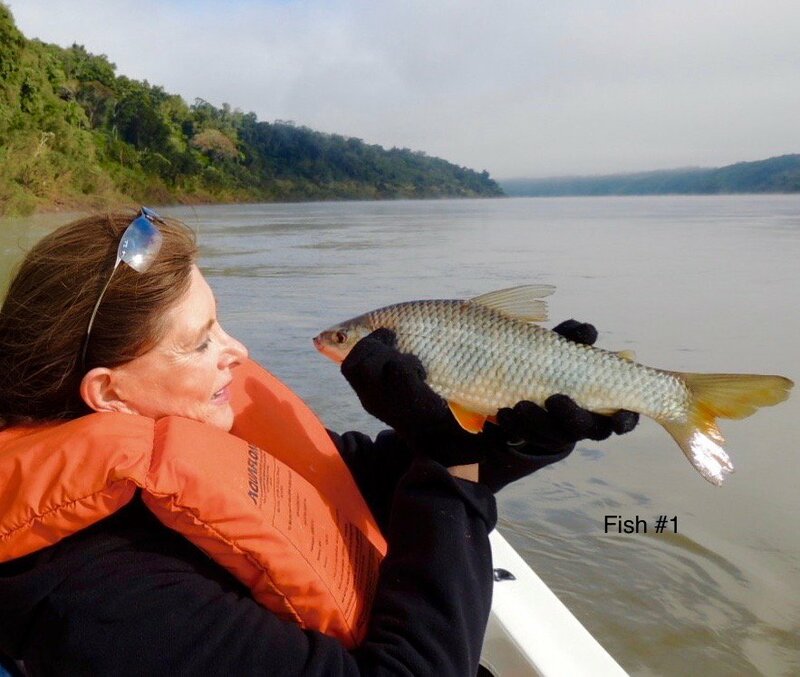 The fierceness of the water eventually pulled the balloon off the hook, freeing the bait to drop to the bottom of the river…where the fish are. Juan had about three poles in the water; I was managing my one. Then, our bites turned into a fish on the line. He was a real fighter, but in the end, he lost the battle as Juan’s dip net brought him into the boat. There was no stopping us now! In the next two hours, we brought in two more fish. We ate sandwiches, fruit and water on the boat. Around 1:00, we pulled anchor and started back to the dock. 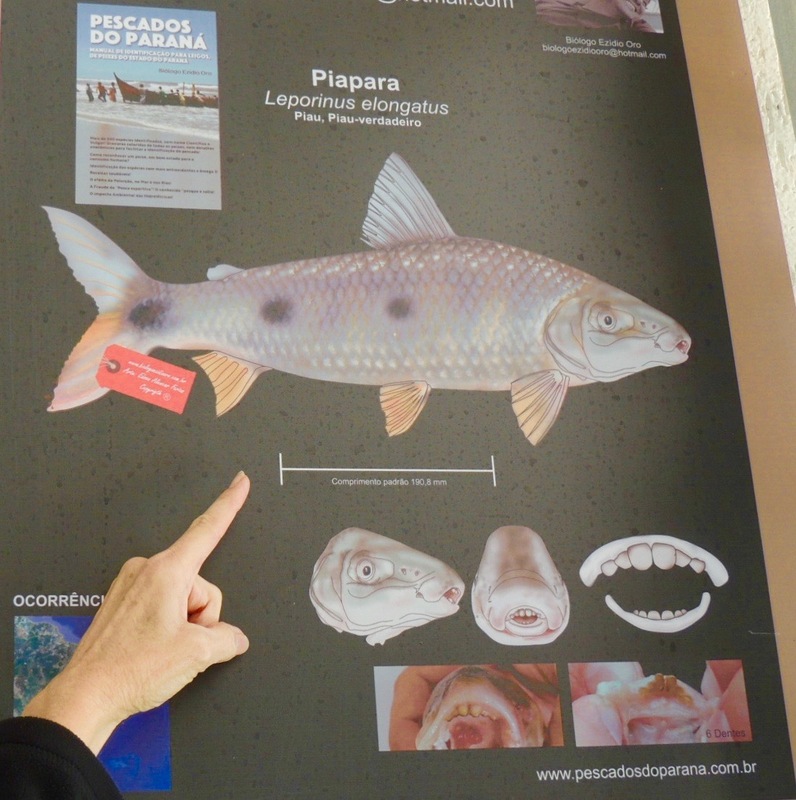 This is information about the type of fish, Piapara. Juan said the fish is prized for Sushi. Juan got to keep my fish. This is one happy lady! Annie Coburn currently lives in Santiago, Chile and travels throughout South America. She created Fab Placez in 2010, but the name never really defined her target audience – mature travelers. In 2014, she changed the name to FAB Senior Travel, and with the help of some very talented people, redesigned the website. She publishes travel articles from other writers to provide diversity of locations to match the breadth of our travel interests.